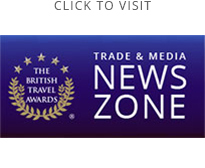 By submitting this Awards Night Booking Form you are entering into an agreement with "UK Travel Awards Limited", the owners and producers of the British Travel Awards. These terms and conditions form part of a contract of business between you (the Client) and UK Travel Awards Limited (the Organiser). The table(s) and/or seat(s) booked. Payment in full should be made within 30 days of receipt of reservation confirmation or 30 days prior to the event date (whichever sooner). Failure to remit the full amount within this period will be considered by the Organiser as a cancellation and the Client will be liable for charges as detailed in "Cancellation Charges". In the event of cancellation by the Client with written notice received by the Organiser in excess of 90 days prior to the date of the event, a full refund of any monies paid (less any non-refundable deposits made by the Organiser on behalf of the Client to a third party). In the event of cancellation by the Client with written notice received by the Organiser in excess of 60 days prior to the date of the event but less than 90 days prior to the date of the event, a charge of 25% of the total value of the booking will be payable by the Client (plus any non-refundable deposits made by the Organiser on behalf of the Client to a third party). In the event of cancellation by the Client with written notice received by the Organiser in excess of 30 days prior to the date of the event but less than 60 days prior to the date of the event, a charge of 50% of the total value of the booking will be payable by the Client (plus any non-refundable deposits made by Organiser on behalf of the Client to a third party). Payment can be made by BACS or over the telephone using a debit or credit card as described on the reservation confirmation. A receipted invoice relating to the reservation confirmation. Details of when the Client's Table Host Pack (Invitations, "How to Get There" information, guest dietary requirements, beverages pre-order form etc.) will be distributed. In the event of cancellation through reasons beyond the control of the Organiser, including but not limited to: force majeure - acts of war, terrorism, death, cancellation by a third party controlling body, venue owners, and any contractor, sub-contractor or lease holder to the event to which the invoice relates, the Organiser will refund the Client any monies paid less reasonable and non-refundable costs incurred pertaining to the event.